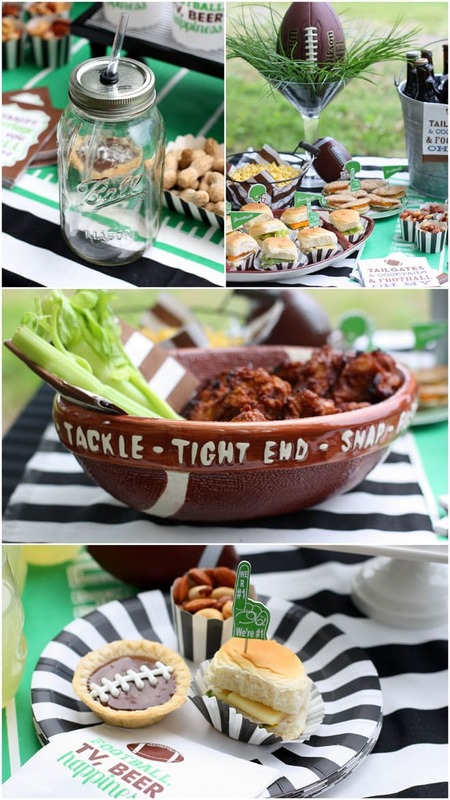 Football Tailgate Inspiration with Swoozie’s! It’s my favorite time of the year! FOOTBALL SEASON! Let me tell you, football season is about as exciting as Christmas in my household. 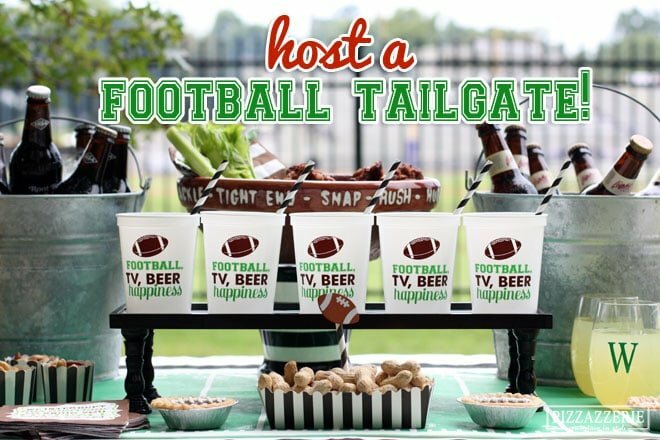 Thanks to Swoozie’s, I’m here to show you some tailgating inspiration from tailgate treats to some staple entertaining pieces that you’ll use season after season. These are easy ideas that will make a big impact at your tailgate (or home viewing party)! Below you’ll see the sources for the Swoozie’s items in the shoot so you can hop over and pick them up for yourself (or a friend!). 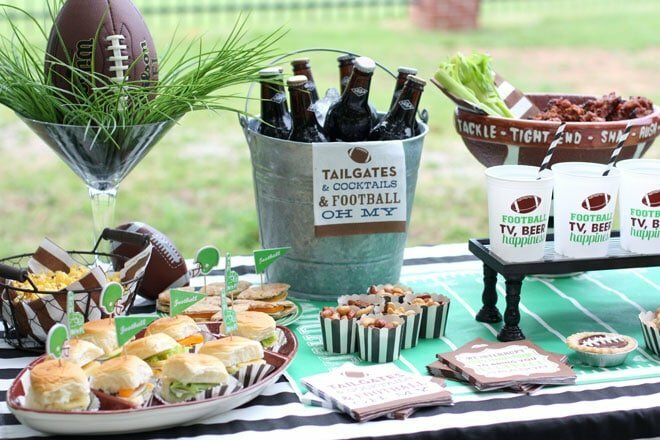 Pick your favorite ideas or try them all, either way, your football fans will love this tailgate party! I’ve also included a list of my “go-to” tailgating tips below for easy reference! Add black & white stripes! They’re the perfect “referee” accessory! Cupcake Liners are for more than just cupcakes! Fill them with sliders, sandwiches, brownies & more! Paper Table Runners make for easy clean-up! Snacks: Serve up nuts, popcorn, chicken wins, and other crowd-pleasing munchies! Serve food in a few ‘staple pieces’ like the Swoozie’s Football Platter! Cute cocktail napkins are a must! Make mini football sandwiches with a cookie cutter! Shop The Swoozie’s Items Seen Here! 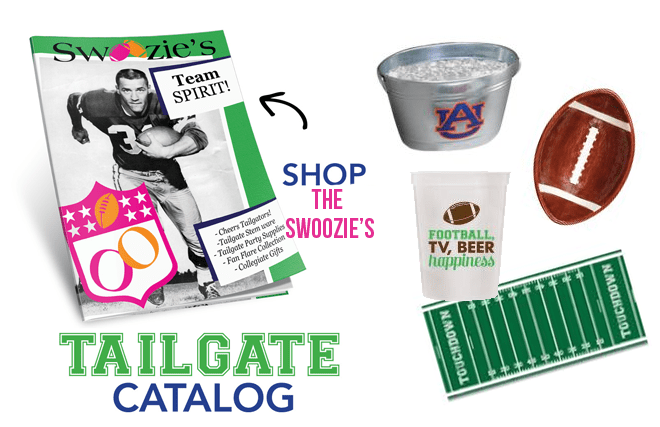 You can also shop the Swoozie’s Tailgate catalog where you’ll find all the tailgating essentials and super cute gifts in your team’s colors! For more tailgate inspiration, check out this blue & white tailgate party and more football party ideas! Mini Ice Cream Cakes for Labor Day! 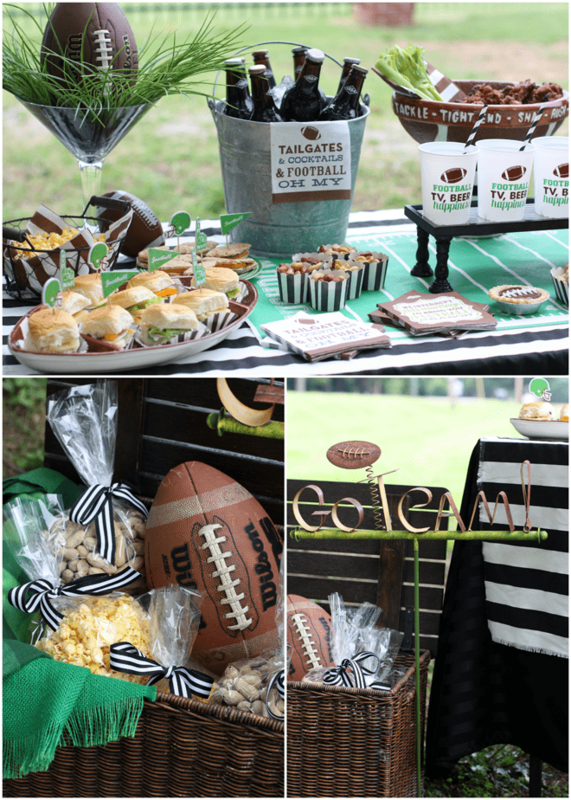 “Homegate” Football Fever – Pinterest Contest! This is awesome Courtney!! Amazing job – love all the details and the fun phrases!